In the vein of poetry collections like Milk and Honey and Adultolescence , this compilation of short, powerful poems from teen Instagram sensation @poeticpoison perfectly captures the human experience. 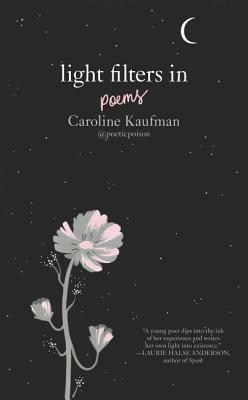 This collection of poems by Caroline Kaufman blew me away. I didn’t know what to expect, going in. Over the last few months, I’ve been gravitating towards poetry more and more. My Instagram feed is essentially filled with these beautiful words put together by such talented individuals, and I’m honestly in awe of it all. I started reading this collection on a particularly low day, and I connected with it ALMOST IMMEDIATELY. Kaufman’s words started coming alive on the page and they resonated deep within me. 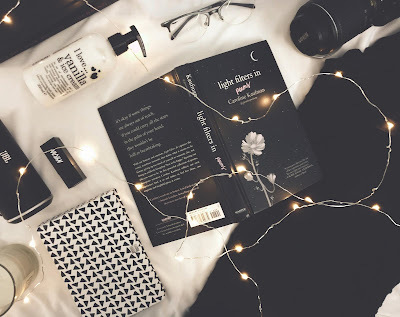 The pain, the hope, the injustice, the happiness, the love, and the self-love that rose off the page with a few words broke my heart and healed it again and, honestly, reading Light Filters In was one of the best things I’ve ever experienced. It took me well over a week to get through this book as I took one poem at a time and read it slowly, letting it all soak in. I found a little piece of myself in the words that created these poems, in the annotations I made in the margins, and in the words I found myself having to spill (write) out, like deep dark secrets, in the empty spaces between one poem and the next. I felt, I cried, I smiled, I hurt and I FELT. I finished this book just last night. I had over 50 pages left to go when I picked it up at 11, and the next time, I looked up, it was past 1am, there were tears in my eyes, and I’d just read the acknowledgements section of this collection of raw, real poetry. I’ve had so many people I know ask if they could borrow my copy of this book, but I’ve had to say no. I usually don’t, especially with people I know, but for some reason, Light Filters In, and the pain I spilt into it has become a part of me I’m not ready to share just yet. Would I tell you to dive into this book? Without a doubt. It’s the most wonderful, raw and heart-breaking piece of literature I’ve ever read. It’s this candid, painful and hopeful journal filled with poems that are all about flaws and imperfect life, and it just made it pure perfection to me. I’d give it more stars than I can count, if that was an option. Go and get your hands on it. 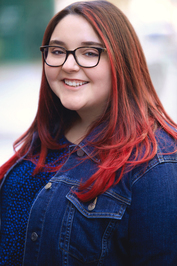 Caroline Kaufman—known as @poeticpoison on Instagram—began writing poetry when she was thirteen years old as a means of coping with her depression. A year later, she started posting it online, and what started as a personal way to combat mental illness eventually became an account with hundreds of thousands of followers across social media. Who are some of your favourite modern poets? I would absolutely LOVE some new poets I NEED to follow recommendations!